If you want to find a simple, fun, stress-relief game, Mr Bow APK (free) can be the game you’re looking for. The game was released by CuCai-Studios – a publisher and is quite new and not widely known. However, after they released Mr Bow, the game quickly received a good reception from players with millions of downloads. Join the game to become the archer master and participate in the battle against demons. 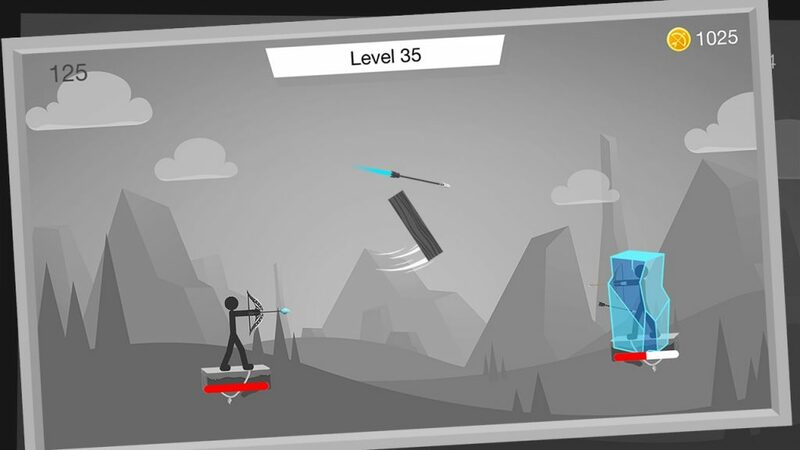 Mr Bow has simple 2D graphics with two main colors are white and black, so the game is easily compatible with many devices, including low-profile devices. Besides, the characters are also drawn in a minimalist and addictive way. Fun and funny design make the game suitable for all ages. 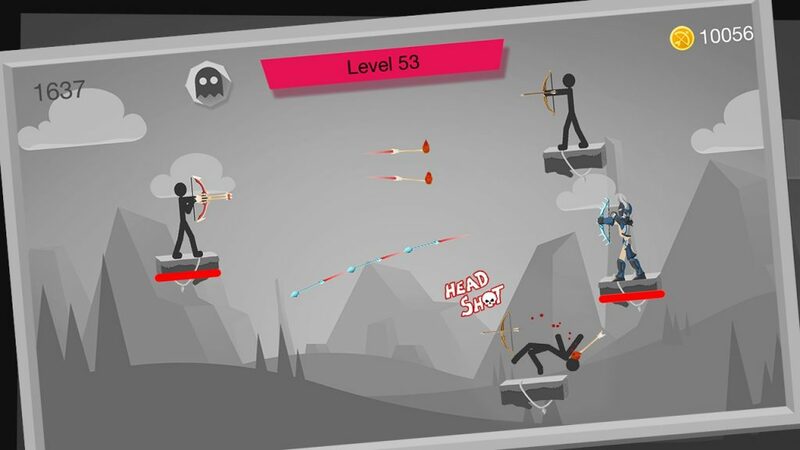 The gameplay of Mr Bow is very simple, like some trajectory shooting games like Angry Birds or Bowmasters. As you shoot, you adjust the direction by holding your finger and dragging it to the back of the character, then letting go of your finger so the character shoots in the chosen direction. How to play is easy to understand, but to win is not easy. Especially when your opponents are good archers and they are no mercy. One thing you need to know in shooting games, that shooting in the head (headshot) will cause more damage. Make accurate shots to defeat your opponents as quickly as possible. Mr Bow has hundreds of levels with increasing difficulty, each level is filled with challenges for you. Higher level, better opponent. Sometimes, obstacles will appear, such as a trunk that automatically moves up and down. These factors make the battle more dramatic and unpredictable. I am a fan of archery characters in famous movies, like Legolas in the trilogy The Lord of The Rings or Hawkeye in The Avengers. Like some Ketchapp or Voodoo games, Mr Bow has a very entertaining way of playing but there is no shortage of challenges for players. The game is very fun. Even if I lose, I don’t feel uncomfortable. Instead, I have more motivation to go further. Currently, Mr Bow APK has two main modes: Campaign and 2 players. You can challenge your friends or any player in 2 Player mode. In Campaign mode, you must sequence defeat the enemies of the dark world. If you fail, you can continue from the enemy who defeated you instead of starting at the beginning. After defeating the opponent, you will receive gold. Use that money to buy characters and weapons of the game. There are many interesting characters to choose from, such as a hip hop guy or a Viking warrior. On the other hand, the weapons system is also very diverse. 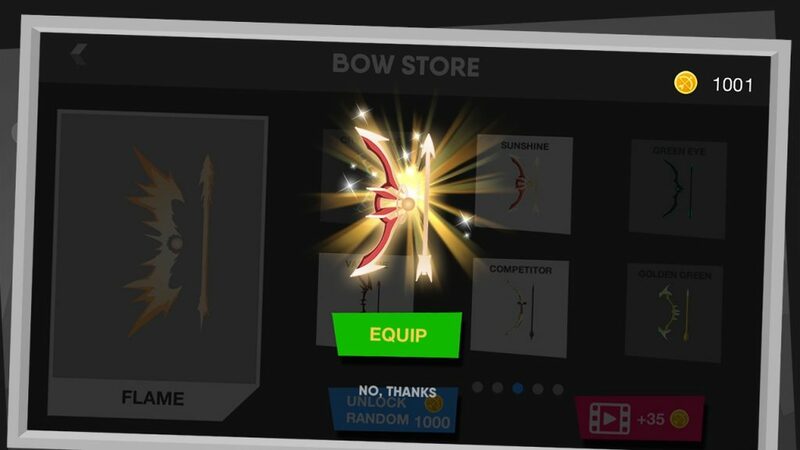 You can unlock the legendary bow types like High Heaven or Lolipop. I really like Mr Bow. The game has many interesting features and addictive gameplay. After a tiring day of work, Mr Bow APK will be my first choice. Currently, the game is completely free for both Android and iOS. Mr Bow APK is ready to download! 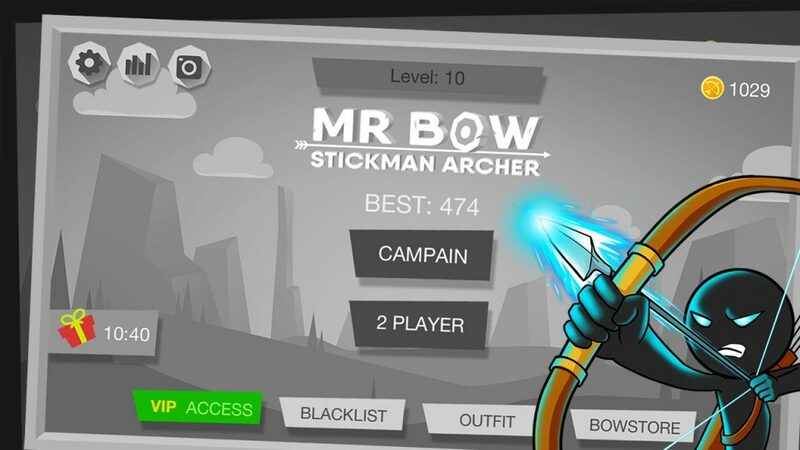 Depending on your needs, you can download Mr Bow MOD APK or Mr Bow Original APK. Or install from Google Play / App Store if you want.